Thank you for having me today and I bring you best wishes for the New Year. I can also offer sage counsel from humorist Ogden Nash, who once advised about the new year, “Ring Out the Old, Ring in the New, But Don’t Get Caught in Between.” For myself, every January has marked a significant personal development at the Consumer Financial Protection Bureau. Four years ago, that was when I first joined the Bureau. Three years ago, President Obama named me as the first director by means of a recess appointment. Two years ago, we finalized our first set of important new rules to improve the mortgage market. Last year, those rules went into effect all across the country. And this year, this January, we are continuing that ongoing work by helping consumers gain greater control over the mortgage process. The American mortgage market remains the single largest consumer financial market in the world. And as we all know too well, in the run-up to the financial crisis, our mortgage market was deeply damaged by reckless lending. That damage caused the broader economy to crash, and while the housing market has been gradually recovering, it has lagged the pace of recovery in many other sectors over the past five years. As directed by Congress, our Ability-to-Repay rule that took effect last year was designed to ensure that lenders will offer only mortgages that consumers can actually afford. That rule, also known as the Qualified Mortgage or QM rule, put in place new protections for consumers to strengthen the housing market by rooting out reckless lending, while enabling and protecting responsible lending that is sounder and more sustainable. Since the time our mortgage rules were implemented almost exactly one year ago today, we have not seen dramatic changes as some had feared. I recall seeing some rash predictions, such as that the price of mortgages would double and the volume of mortgages could be halved. But by the time these rules went into effect, lenders had already retreated from the worst sorts of lending that took us into the financial crisis, such as NINJA loans – loans so called because they could be made even to people with no income, no job, and no assets. Loans with negative amortization – often made to borrowers who could not afford even the interest accruing on the mortgage – also dried up in the immediate aftermath of the financial crisis. Our rules put further measures in place to make sure that irresponsible lending would never be allowed to reappear. At the same time, however, we did not anticipate that our rules would affect the broader market in an intense or abrupt fashion. Instead, we included a provision so that loans backed by Fannie Mae and Freddie Mac as well as FHA, the VA, and the Department of Agriculture would be protected under the new rules. Another special provision ensures that thousands of small creditors, such as community banks and credit unions, can continue to do the responsible lending they have always done to serve their markets. In these ways, we protected key elements of the current mortgage market, even as we installed new guardrails to prevent irresponsible lending long after memories of the crisis may have faded. The mortgage market continues to heal from the great damage done by the financial crisis, with foreclosure rates and delinquencies continuing to fall. Home values have been improving and the volume of homes that are underwater – with more owed on the mortgage than the home is worth – remains on an encouraging downward trajectory. There are also growing signs of pent-up demand among first-time homebuyers, which has been a slow segment of the market in recent years but would give it a definite boost. So a core purpose of the rule was to help restore reliability to the mortgage market. When people take out a loan to buy a home, they deserve to have confidence that they are not being set up to fail. With such confidence, they can be more actively engaged in the process of seeking a good outcome. They can choose the lender and the product with the terms best suited to their budget and their vision of what they want for themselves and their families. Making these choices effectively will depend on people being actively engaged in weighing their options and understanding how to shop around. But we know it can be difficult to shop for a mortgage. It is hard to understand how to shop and the process can be intimidating, especially with all the paperwork. At the Consumer Bureau, we have been working with the Federal Housing Finance Agency on ongoing surveys of new mortgage borrowers. Our first survey, performed at the beginning of last year, found that nearly half of all consumers do not shop around for a mortgage when buying a home. That is why today we are releasing our “Know Before You Owe” initiative called Owning a Home. It is designed to empower consumers with the information they need to make good decisions and talk to lenders with confidence. Consumers will be able to gain greater control over the outcomes of the mortgage process and maximize the benefits of this major transaction. Today’s report is based on results from new data in the National Survey of Mortgage Borrowers. When we say that almost half of consumers who take out a mortgage to buy a home fail to shop before applying for a mortgage, this means they seriously considered only a single lender or broker before making their decision. By contrast, most consumers put substantial effort into considering their differing housing needs. They routinely weigh the most basic questions about which house to buy, such as where they want to live, and how many bedrooms or bathrooms they think they will need. But they do not seem to be as careful or as confident in weighing the economic aspects of the mortgage decision, such as what down payment they can afford or what mortgage terms fit their unique financial needs. Given the importance of this major purchase, almost nobody looks only at one house and decides to stop right there. Consumers spend considerable time looking at different neighborhoods and at different homes for sale. The same should be true of choosing among possible mortgage loans. When you are spending a lot of money, you are literally betting the house on the choices you are making, and it can be highly beneficial to shop around. Our study also found that consumers are getting much of their information about mortgages from sources that have a vested interest in the outcome. For example, 70 percent report relying on their lender or broker “a lot” to get information about mortgages, while only 20 percent rely heavily on websites and only 2 percent rely heavily on housing counselors. Certainly lenders and brokers can be valuable resources. But it is worth recognizing that they also have an important personal stake in selling the mortgage. What is best for them is not always going to be best for the consumer. And because lenders and brokers have different business models, they may make money in different ways to stay competitive. So it is in the consumer’s best interest to ask questions and get as much information as possible from several lenders or brokers before making a decision. People may well put more time and effort into shopping for smaller products such as appliances and televisions than they do in shopping for the right mortgage. The failure to look around can mean real money lost for consumers. For example, on a conventional mortgage for borrowers with a good credit rating and a 20 percent down payment, the range of potential interest rates can span a half-percent or even more. For a borrower taking out a 30-year fixed-rate loan for $200,000, getting an interest rate of 4 percent instead of 4.5 percent translates into approximately $60 in savings per month. Over the first five years, the borrower would save about $3,500 in mortgage payments. In addition, the lower interest rate means that the borrower would pay off an additional $1,400 in principal in the first five years, even while making lower payments. By not shopping around, consumers often are throwing good money down the drain. An important and interesting finding from our survey was that consumers with more confidence in their knowledge about the mortgage process were more likely to shop. This was especially true for those who said they were very familiar with available interest rates. They were almost twice as likely to shop as those unfamiliar. Clearly we need to try to instill more confidence in consumers – and by empowering them we can help them make the most of this process. At the Consumer Bureau, we are working to reduce the information gap between lenders, who understand mortgage pricing inside out, and consumers, to whom the process can often feel like a mystery. It is time to start changing the culture of how people obtain their mortgages. We need to change the process from one of “getting a mortgage” to one of “shopping for a mortgage.” Consumers have much more power than they may realize. They can use that power to take control of their financial outcomes. To help consumers become better and more informed shoppers, we are improving mortgage disclosures. This summer our Know Before You Owe forms will become the new reality in the mortgage market, helping consumers understand their options, choose the best deal they can, and avoid costly surprises at the closing table. The forms are consumer-tested to be more readily accessible and user-friendly, which will ease the process of applying for and closing on a loan. We also will soon be bringing out a more consumer-friendly edition of the booklet people receive when they apply for a mortgage to buy a home. Although our new mortgage regulations limit various risky product features, mortgages can still have very different terms and features for consumers to understand. Key components of a loan include the loan term, loan type, and interest rate. Loan terms typically vary between 15 and 30 years. Loan types include conventional loans as well as those offered by the FHA or VA, among others. Interest rates can be fixed or adjustable, and the upfront costs for mortgages often vary across lenders, even for the same consumer on loans with otherwise identical product features. Shopping for a mortgage can occur at different points in the process, but consumers are well advised to cast a wide net early on. The consumer may begin by researching different loan options. Once the consumer knows more, she may be ready to meet with lenders and ask questions about the products they offer and the application process. Once the consumer has made an offer on a home, she is ready to apply for a loan from different lenders. Finding the best deal depends on comparing the available offers, which may vary based not only on the interest rates but also on other costs and terms. Owning a Home has great new tools to help consumers throughout the home buying experience, from the very start of the process all the way to the closing table. These tools can be found on our website at consumerfinance.gov/owning-a-home. 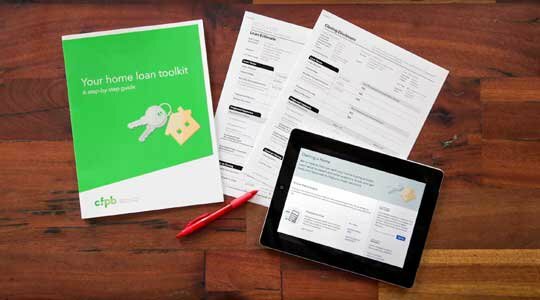 The set of tools includes a guide to loan options and a closing checklist, written in plain language. If consumers need help understanding the difference between a fixed-rate and adjustable-rate mortgage, our tools will be able to assist. If people need help deciding how much they can borrow, our tools will be able to help with the calculations. Or if they need help understanding the new mortgage disclosure forms, Owning a Home will be able to explain all that. We are working to add these and other tools over the course of the year to give people a comprehensive and comprehensible picture of the entire home buying process. One critical feature contained in Owning a Home is the Rate Checker, a tool currently in beta release that helps consumers understand what interest rates may be available to them. It incorporates information from lenders’ internal rate sheets, information they use to calculate what interest rate is available for a particular consumer. In other words, we are giving consumers direct access to the same type of information that the lenders themselves have. Borrowers looking to buy a single-family home can use the Rate Checker to input their own information and find out what interest rates they are likely to be offered from lenders in their area. By plugging in their credit score, their location, and information about the loan they are seeking, they can see the rates that lenders are offering to borrowers like them. This is different from other websites that usually quote potential rates based on averages for borrowers with great credit and a large down payment. That can be misleading because of course not all consumers have high credit scores or can afford a large down payment. The result is that many consumers go to lenders and are quoted surprisingly different rates, which can leave them confused and uncertain about whether the quoted rates make sense. And, of course, many of those websites focus primarily on soliciting prospective customers. 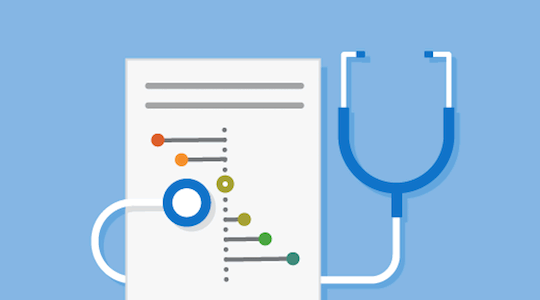 Thus they require people to surrender their personal information, perhaps an email address but often much more – information that may be used for marketing or sales purposes. By contrast, Owning a Home has no hidden agendas and the Bureau does not retain any personal identifying information. Instead, it simply enables consumers to have more of the information they need to be savvy shoppers and get the best deals they can. 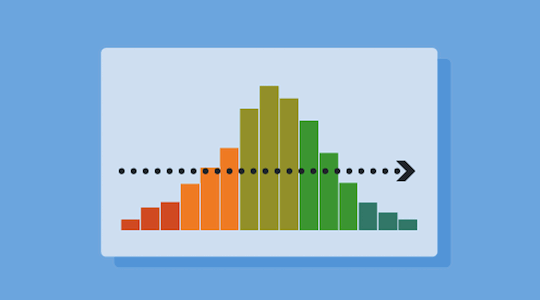 Our new set of tools also offers an understanding of how lower rates translate into dollars saved. It can be hard to understand what an extra quarter or half percent of interest amounts to in actual dollars. So our tool makes it easy to compare different interest rates and to see how much they will cost. Consumers will be able to go to our website and plug in information, as often as they like, to become more familiar with their options. Understanding what rates they can expect to be quoted in the market will help them see the value of shopping and gain more confidence about the crucial decisions they need to make about which mortgage to choose. And it is worth noting again from our survey findings that as consumers gain more confidence about the process, they become more likely to shop for a mortgage in the first place. When consumers actively shop for a mortgage, they will be in a better position to make the best decision they can about what is probably the single largest financial transaction of their lives. The set of tools contained in Owning a Home, complete with the critical Rate Checker feature, will help consumers do that more effectively. And let me take a second to debunk a popular myth: You can shop around for a mortgage and it will not hurt your credit score. Within a certain window of time – generally between 14 and 45 days – multiple credit checks from mortgage lenders or brokers are treated as a single inquiry. This is because other creditors realize that you are only going to buy one home at a time. You can shop around and even submit multiple applications to obtain multiple initial estimates. The effect on your credit will be the same no matter how many lenders you consult. For these reasons, it is vital that consumers meet with several lenders early on and ask lots of questions, but wait until they receive official loan offers to make their final selection. 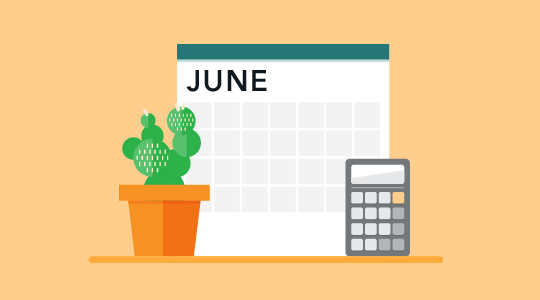 Starting this summer, those official loan offers will be communicated on our Know Before You Owe Loan Estimate form, which will summarize the key loan terms as well as the estimated loan costs and closing costs. By demystifying the jargon, we are making it possible for consumers to have conversations with lenders that are better informed and more productive. In addition, consumers will have a reliable estimate that can change only in limited ways between the application and the closing. This will build their confidence and ultimately empower them to make the right decisions for themselves and their families. The central purpose of the Consumer Bureau is to assure that empowered consumers have access to markets that are fair, transparent, and competitive. This is good for consumers, for the honest businesses that seek to serve them, and for the American economy as a whole. Our important new set of mortgage rules is creating a cleaner mortgage market. Consumers are better protected from the pitfalls and booby traps that hurt so many people and led to the financial crisis. But when people fail to shop because they are intimidated by the process, they are putting themselves in harm’s way. One of our duties at the Consumer Bureau is to educate and empower them. We are seeking to change the culture of how consumers go about obtaining mortgages in this country by making it more possible and more fruitful for them to shop around. People should walk away from the mortgage process feeling secure that they have made a sound and sustainable decision about their future, and they should be right to feel that way. We have seen all too clearly that when consumer financial products are misunderstood or misused, they can do real damage to people’s lives. Consumers need to make the best choices that fit their circumstances – nobody can do that for them – and they need to be responsible for the choices they make. At the Consumer Bureau, we are seeking and finding ways to help them get exactly where they want to go in improving their financial futures. Please join us in supporting this important and exciting work. Thank you.